Everybody knows this one. Red rose is technically and traditionally proven as the ‘Lover’s rose’. It is a true symbol of passionate and enduring love that is also a creative spirit of love. It represents true love and a force of ultimate romance and plays the game of heart-to-heart. When you receive this one, you know you are truly, deeply and madly loved by the person! Another mystical meaning of a single red rose is that of symbolic loveliness, an attitude that says ‘I still love you’. This color of rose clearly sends the message of joy as they are yellow in color and are associated with the sun. It is meant to make people cheerful. Its presence conveys a message of friendship and delight along with a ‘Get well’ message for a sick kith and kin. Back in the old days this yellow rose was meant to be for a completely different purpose. It was a sign of displaying jealousy! White rose is also called the ‘Bridal Rose’ for it is the ultimate color of purity and innocence. It clearly calls for a new beginning or a young love. They could later turn to the stage of red roses or perhaps are a signal for that stage to come. A white rose also represents truthfulness, virtue, honor and reverence so they could also be used for the purpose of memorial of a loved one. Pink color is usually associated with femininity and same is the case here. Along with this, there are several other meanings that a pink rose connotes: A dark pink rose carries with itself a message of appreciation and feelings of gratitude; a light pink rose conveys the message of gentleness and admiration along with sweetness. These are also used to express sympathy and grace. Orange roses are clearly a symbol of great joy turning to enthusiasm along with a desire. The desire could be a hidden meaning of showing someone how attracted and admired you are by their charms. Perhaps this is the reason why this warm and vibrant color lies in the midst of yellow and red, it creates a bridge between friendship and love in a very secretive manner. Lavender roses have long been associated with royalty. The color itself is mystical and also carries the message of enchantment. Surprisingly, this is the reason why they are also a great valentine flower for your loved one as it also connotes ‘Love at first sight’. The color black clearly indicates feelings of deep sorrow, an excruciating pain that you get when you have to say farewell to your loved one who has departed from this world and has met his ultimate destiny: Death! 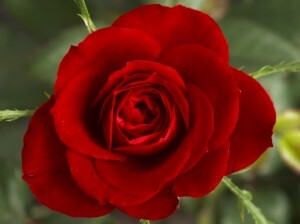 Other meanings include a thorn-less rose that carries the message of ‘love at first sight’ without any subtle thoughts. A white rose bud would stand as a symbol of girlhood. A single rose of any color at random would definitely be a show of gratitude and simplicity or perhaps the attractiveness the person gets from the receiving end. Knowing the meanings of colors associated with roses, it is wise to pick the one that fits your message. You may be the kind of person who has come to know of it only now but what if the person you have been giving roses since decades have known it all along and never told you out of respect and care? That makes a whopper! So don’t you worry, you still have all the time in the world. Decide on the feeling you want to portray and then pick your rose accordingly. If you are too shy of a person, this technique would work for you in the finest of ways! And if you are at the receiving end, be the wise one to catch the signal instantly!